The Icon. The legend. The Mini Cooper ‘S’. 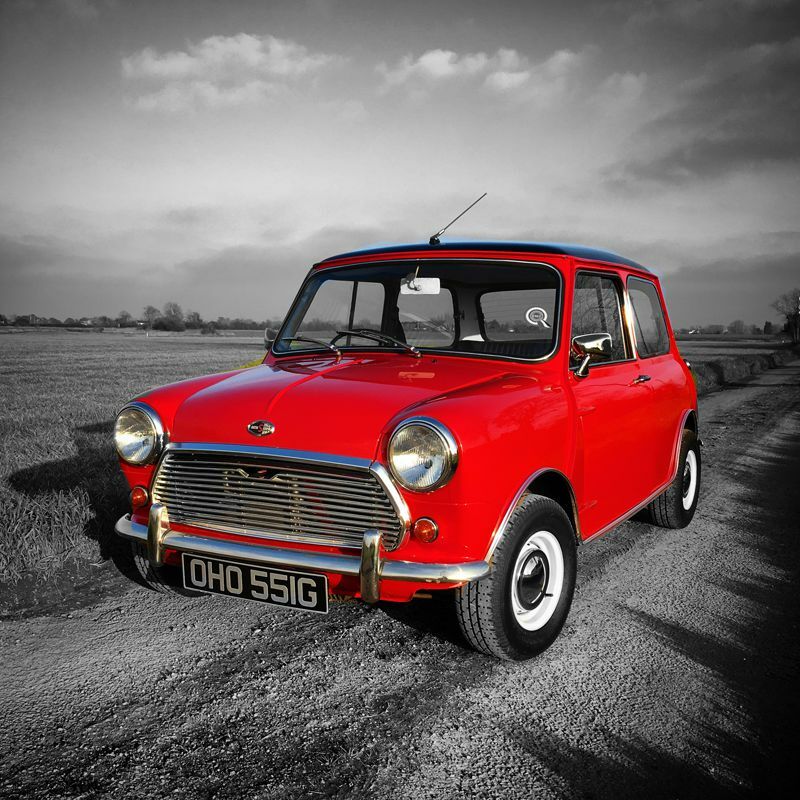 Built between 1959 and 2000, the BMC Mini managed to win over the hearts and minds of the nation. It even won an award for being the 2nd most influential car in history, with only the Ford Model T beating it to first place. 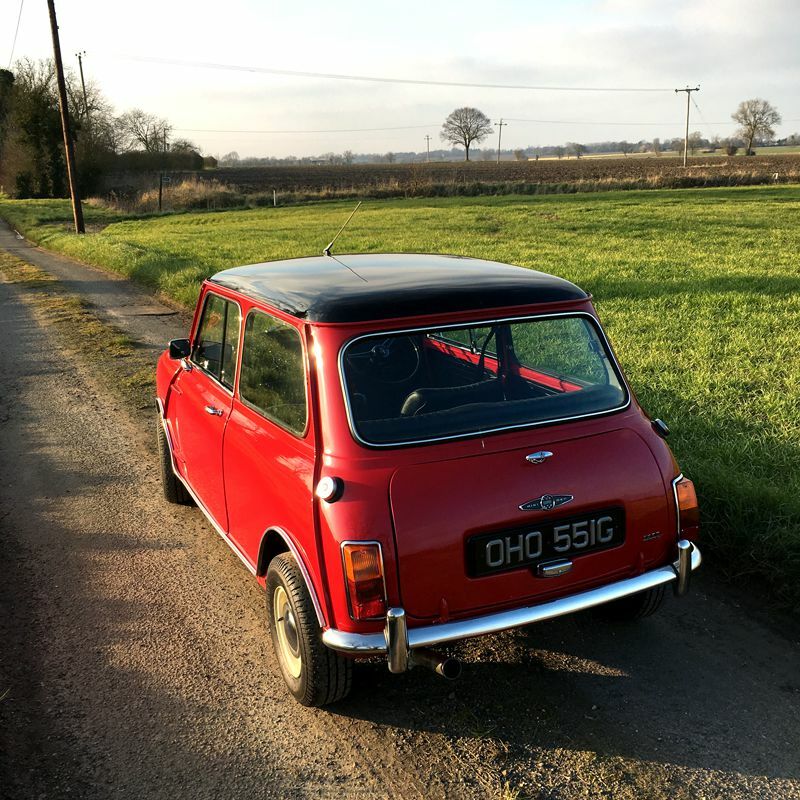 Designed by Sir Alec Issigonis and his team, it was initially manufactured at Longbridge and Cowley in England, before being built in a wide variety of countries around the globe. Within its lifetime there were four major updates; the Mk. 1, the Mk. 2, the Clubman and the Mk. 3. These models were also available in a number of variants including a van, a pick-up, an estate and, of course, the Mini Moke. Here at [CarCrazedFool] I’m obsessed with performance and sports cars, so it’s the indomitable Cooper and Cooper ‘S’ that really get the heart racing. These diminutive little cars were highly successful rally cars, notably winning the Monte Carlo Rally in 1964, 1965 and 1967. 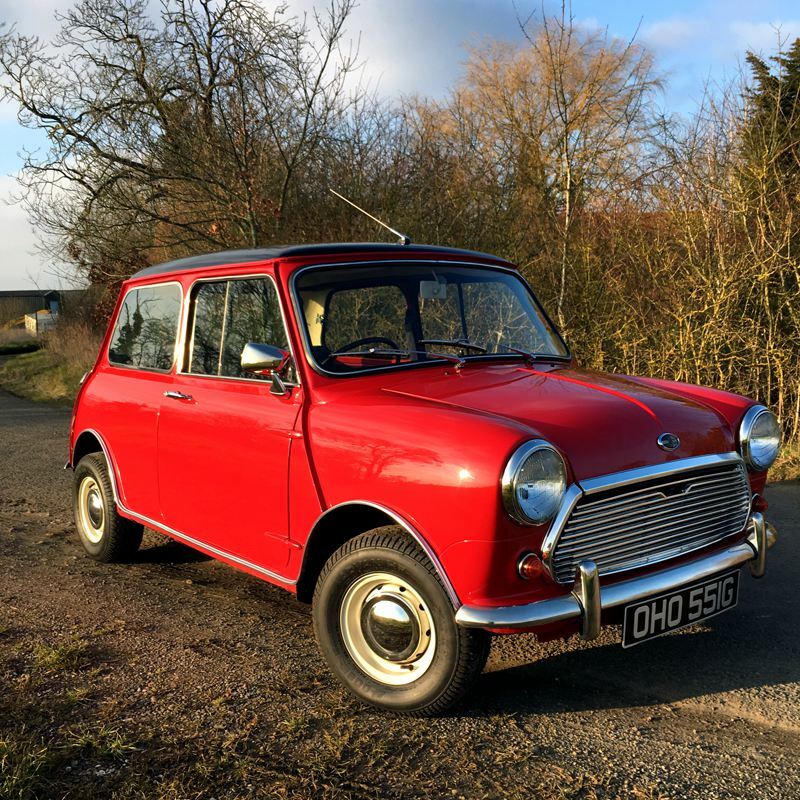 This brings us on to the 1968 Mini Cooper ‘S ‘ Mk. 2, a car that has a special (albeit small!) place in the garage. A couple of years ago, I once again found myself pouring through the upcoming auction listings. As I’m sure is apparent by now, I have a passion for old M cars, and at the time, an original BMW 2002 Turbo was missing from the collection. Headlining the auction was a mint, 1973 BMW 2002 Turbo, in Alpine White supporting the classic motorsport hockey stick stripes. The decision was made, the auction would be attended and bidding would be on the cards! Arriving at the popular auction site, it was clear the headlining car had generated a lot of interest. The car park was dotted with classic BMWs; E30s, 2002s and Neue-Klasse were parked everywhere you looked. The Turbo in the auction looked great, only a couple of minor issues, definitely worth a punt. It was time to size up the competition. One of the fun elements of going to a car auction is weighing up the other potential punters, working out who is serious, who is looking for a cheap deal and who is going to have the car no matter what the cost. Wandering around the hall, engaging anyone looking at the car in casual conversation, trying to see who was looking up current market prices on the internet, all in the hope on giving myself an edge when the motorcar comes under the hammer. Scouting done, it was clear there was going to be one or two serious competitors. Finally it was time for the ’02 Turbo to come under the hammer. The bidding was fast and furious; I waited, holding my nerve. The number of bidders slowly started to dwindle, the pace of the auction was slowing, I placed my bid. It was now between a steely-eyed gentleman and myself, the bids ping-ponged back and forth, higher and higher. I had a ceiling price in mind, a good tactic in case the moment gets a little too exciting and you get carried away, it was fast approaching. My nemesis was now pacing, giving me hard stares; he was determined. We reached my mental ceiling price; I raised my hand, the auctioneer nodded, time slowed down. The air was thick, the rest of the onlookers waited, the man of steel paused. He gave me another hard look… and raised his hand. Sticking to my rules, I slowly shook my head. No more bids, the hammer fell. Steely-eyed Nemesis 1, CarCrazedFool 0. Feeling dejected and disappointed I decided to have a final wander around the hall. It was then that I noticed a rather cool, but slightly shabby looking ’67 Mini Cooper ‘S’. Looking the car over, it needed some attention to the bodywork, but everything else looked right. The engine and components were spot on, the rocker cover looked correct, everything checked out. It was the very last lot of the day. Two years later, we achieved the car you see here. Featuring a full bodywork restoration (carried out by RJM Body Repairs), replacing everything that needed doing with heritage panels and quality parts. 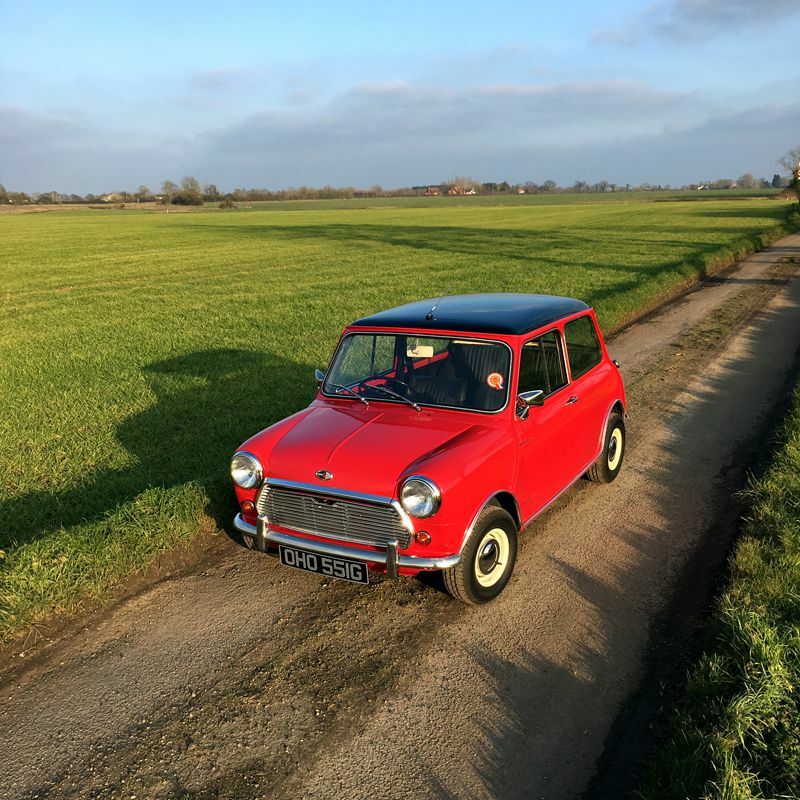 We thought at the time that only bodywork restoration would be required, sadly that was not the case and it soon became apparent that it would also need a full engine rebuild. Never wanting to do anything by halves the car was sent to Crafted Classics for the full works. Not only is the car now beautiful to look at, it has the go to match. Running a built 1398cc lump, it has a lot of poke for a little car!